Today we had special visitor, Brigadier Richard Clements Commander British Forces Germany. 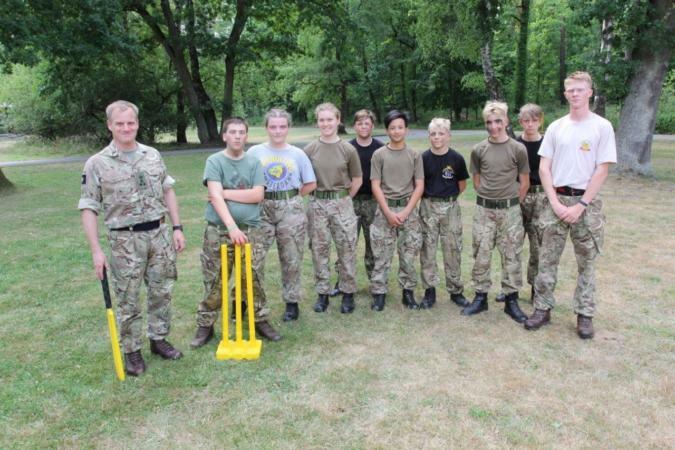 Brigadier Clements took some time out to play a game of cricket with some of the Cadets! After a short game of Cricket Brigadier Clements took time out to talk to the Cadets and some of the CFAV as well as some of the RFCA staff. After the visit Brigadier Clements presented Cadet RSM Larder with the Commanders coin!